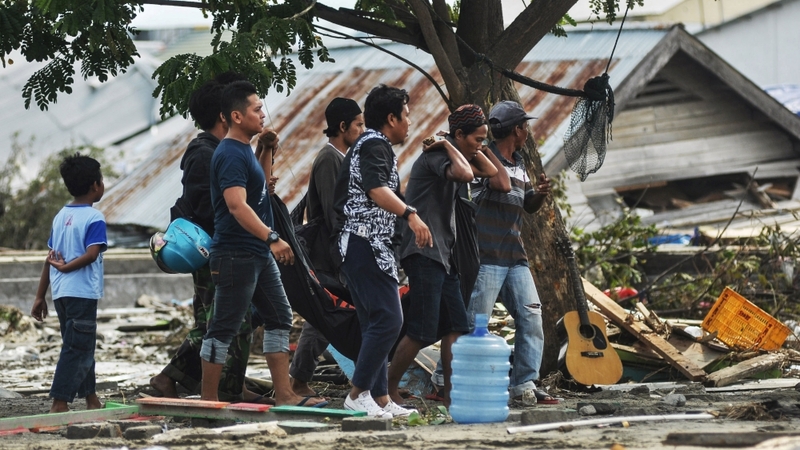 The death toll from an earthquake that prompted a tsunami on the Indonesian island of Sulawesi has risen to 832, the national disaster mitigation agency has said, adding it assessed the affected area to be bigger than initially thought. Many people were reported trapped in the rubble of buildings brought down in the magnitude 7.5 earthquake which struck on Friday and triggered tsunami waves as high as six metres (20 feet), agency spokesman Sutopo Purwo Nugroho told a news conference. Indonesian President Joko Widodo arrived on the island of Sulawesi on Sunday to take stock of the situation. Dozens of people were reported to be trapped in the rubble of a hotel and a mall in the city of Palu. A young woman was pulled alive from the rubble of the Roa Roa Hotel, the news website Detik.com reported. The owner of the hotel said that up to 60 people were believed trapped in the rubble. 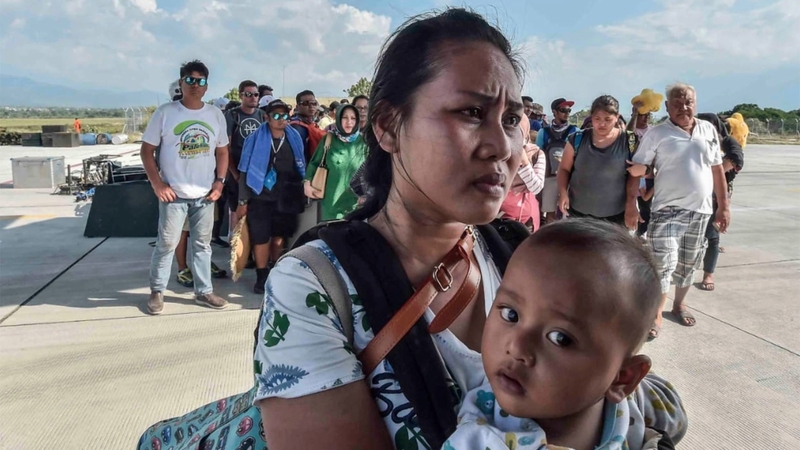 Authorities are bracing for much worse as reports filter in from outlying areas, in particular, Donggala, a region of 300,000 people north of Palu and closer to the epicentre of the quake. Speaking from Jakarta, journalist Tomi Soet-jipto told Al Jazeera 11 of the recorded deaths were from Donggala, but a clear picture on the situation there has yet to emerge. “The national disaster agency spokesperson insisted that up until now they still received no official information in terms of casualties and damage,” he said. The nearby city of Mamuju was also ravaged, but little information was available due to damaged roads and disrupted telecommunications. “Two helicopters from Indonesian Red Cross have been dispatched to Donggala to bring in emergency supplies. We don’t know if emergency workers have been able to reach the city by road. There is no official assessment of the damage caused by earthquake and Tsunami,” Tomi Soetjipto, a journalist based in Jakarta, said. More than half of the 560 inmates in Palu’s prison escaped after its walls collapsed during the quake, according to state news agency Antara, while more than 100 inmates escaped from a prison in Donggala. It’s the latest natural disaster to hit Indonesia, which is frequently struck by earthquakes, volcanic eruptions and tsunamis because of its location on the “Ring of Fire,” an arc of volcanoes and fault lines in the Pacific Basin. In December 2004, a massive magnitude 9.1 earthquake off Sumatra island in western Indonesia triggered a tsunami that killed 230,000 people in a dozen countries. Last month, a powerful quake on the island of Lombok killed 505 people.